David James wants to bolster the defense and is hopefully looking at the youngster. Indian Super League's Kochi based outfit, Kerala Blasters have invited young, versatile defender Saurav Gopalkrishan of CD Almuñecar City to attend trials, sources close to the clubs have told Khel Now. Gopalkrishan is an FC Malaga City Academy product and hails from Kerala. He has been with the senior Almuñecar City team since November last year. He's made six appearances for the senior team, and since his arrival into the squad, they're unbeaten. Saurav who was with the academy for two seasons is a tenacious defender, who can ply his trade in all defensive positions, but is adept as a centre-back. He is is lanky and agile as well as being good in aerial duels and at tackling. "Obviously, we are losing a good player but the ethos of our academy and club is for players to progress to a professional team, so we are happy," said an official from Almuñecar City. He added, "I would hope so! but you can never tell with trials, it is a complicated business," when asked whether the team would sign him or not, if he impressed. However, Saurav has got a golden opportunity to join Blasters and the player will likely return to India tomorrow. 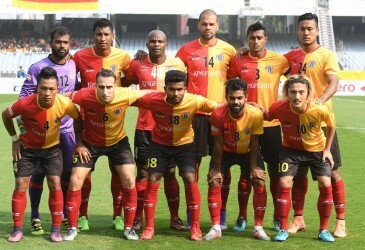 Earlier, Kerala's bid to purchase Guruwinder Singh from East Bengal seemed to be futile as the I-League outfit rebuffed the deal. 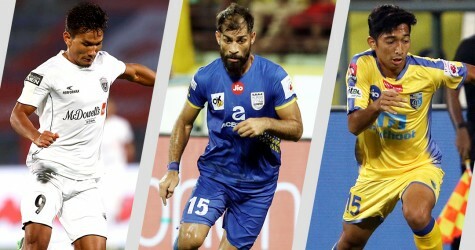 David James wants to reinforce the injury-hit Kerala Blasters' defense and Saurav's trial, which will start the coming week is a part of that. The player was excited when told about the offer,revealed a source close to the club. Saurav's inclusion into the squad will help James revamp the defense and will help them stay tenacious if Rino Anto's out.